One of the main problems with asbestos now comes from "friable" (easily broken up) asbestos used in buildings until the late 1980s. Construction workers, trades people and other building maintenance workers may be exposed to very high concentrations of asbestos fibres during renovations and repairs to older buildings. 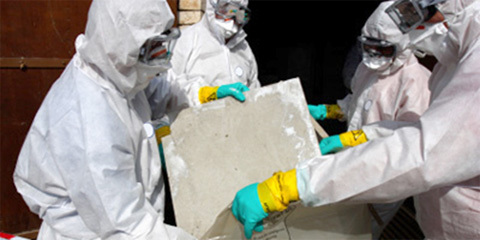 Therefore testing by an accredited asbestos testing laboratory is recommended before starting a project. The mere presence of asbestos in a building does not necessarily mean that the health of the occupants is endangered. As long as asbestos containing materials remain in good condition, and are not disturbed, exposure to airborne asbestos fibres is unlikely. Asbestos building products can become hazardous if they have the potential to becoming airborne due to natural deterioration, damage, or physical disturbance. UES provides professional, efficient and cost effective assessment, recommendation, removal, and remediation, if required, to assist property owners and managers in their decision making process and reducing liabilities.